Get ready for the World’s most exciting Jet Boat ride! 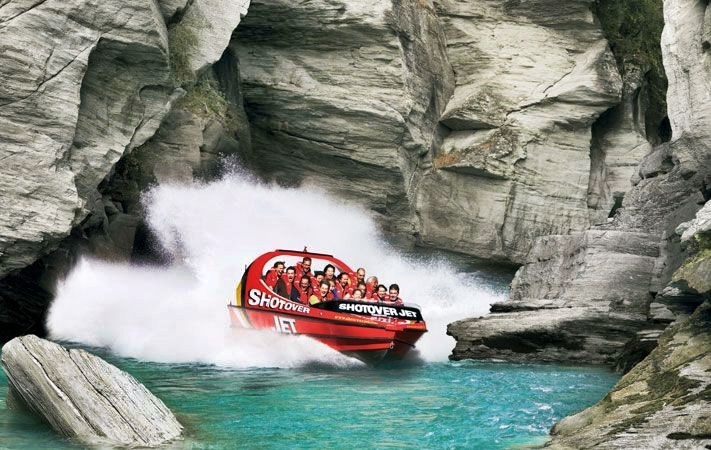 Acknowledged as the World’s most famous Jet Boat operation, many imitate Shotover Jet – but for sheer excitement, no one comes close. Shotover Jet is the only company permitted to operate in the spectacular Shotover River Canyons. It’s a thrilling ride – skimming past rocky outcrops at close range in your Shotover Jet ‘Big Red’, as you twist and turn through the narrow canyons at breath taking speeds. And a major highlight – hold tight for the world famous Shotover Jet full 360º spins!